Done well, adventure scenarios are an incredibly valuable tool for people playing rpgs. And yet they are never as popular as core rulebooks or player-oriented expansions. If I break down time spent writing adventures versus the profits they have made so far (over the course of a year and a half in a few cases), the best-case scenario is about minimum wage (which is CAN$10/hour where I live… I think). Obviously, if you have a large customer base, they way Pathfinder and D&D do, adventures can actually make enough money to pay for the people involved. But even in those cases, the rulebooks are still where the real money is. So, what are adventures good for? Advertising. 1. They help sell other books, especially core rules. If someone runs Island of Fire Mountain for their friends, and their friends love it, what happens? Do they all rush out and buy Island of Fire Mountain? No, they rush out and buy Dungeon World. Now, I’m all for helping out friends of mine but getting paid minimum wage to advertise someone else’s game (or do anything, really) is still a crap job, any way you cut it. Take a look at two successful adventure-based business models: Goodman Games and Lamentations of the Flame Princess. Both of them have gone from just adventures to also producing their own core rules, which I’m pretty sure sell better than adventures do. Not only are people more likely to buy adventures if they have a proper set of rules to go with it, but people also like to buy core rules. If you’re adventures don’t sell well enough to make a profit on their own, but they keep pointing people toward your other products that do, they’re worth the investment of time and effort (and by “worth it” I of course mean monetarily). Just like rules expansions and supplements, adventures are a form of support for a game. Lots of people find well-supported games (and game lines) more attractive. Firstly, it (usually) means they will be able to do more things with one game simply by spending money and doing a little reading, instead of having to make everything up themselves (which can be especially time-consuming when it comes to designing rules). But also, if someone is already interested in a core game, good supplements and adventures work to grow and reinforce that interest. Bad supplements don’t tend to have the opposite effect because people can ignore them and concentrate on the ones they do like, or if they reinforce someone’s poor opinion of the game, that person is probably not going to be a customer (or repeat customer) anyway. A bad supplement flops on its own, a good supplement builds the brand. All that said, making adventures pay off from a business standpoint requires you to use them as advertising for your other work. Using them to push your own core rulebook is a pretty well-established model. 2. They form a body of work. Another thing that adventures can do is make bundled sales more attractive. 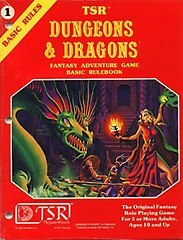 A collection of many adventures, or rulebooks that come with a collection of adventures, adds value at the point of sale, as opposed to when people play the game (which is what point 1 was about). Sales are attractive; people like getting a deal. If you have one product out, all you can do is lower the price. If you have a whole bunch of products out, you can also sell a bunch of them for the regular price of just one of them, and not only does it feel like a deal money-wise, but time-wise as well, because they only have to make one purchase to get everything. In point 1, I’m saying that people who see or play the adventure and think it’s cool get pointed to the core rules. With this point, I’m saying people who are interested in the core rules see that there are adventures for it, and it strengthens their resolve to buy it. 3. They disseminate a style of play. Aside from the business aspects of points 1 and 2, there is also the community-building aspect to consider. Adventures help teach and promote a specific style of play, which can help lay the groundwork for other games of that style. If you run Apocalypse World and Dungeon World in a specific way, both games really sing. If you run them the same way you run Pathfinder, though? You’re going to have a terrible game. Even the people who hate Pathfinder won’t like it. But not everyone is able to learn how to play AW or DW really effectively from just the core rulebooks (because people learn in different ways). The more examples there are of that style of play out in the world, the easier it is for the people who like it to discuss it and find other people who want to play games in that style. It means subsequent games built in the AW style have an easier time gaining exposure. And this is just a recent example, which I use because right now I mostly write stuff for Dungeon World. Other examples of people promoting a specific style of play in opposition to more dominant styles include the OSR, the Fate community, and the various Gumshoe games. 4. Another reason why people write adventures. Adventure-writing is also a natural by-product of play, since most rpgs require at least some form of prep. If you’re writing that stuff anyway, you’ve got a head start on a saleable product, although there’s still some work involved (most people I know don’t make professional-looking books just in order to play an adventure once with a few friends). Still, there’s something to be said for turning your hobby into something you can release in public with a little extra effort, and many more reasons than just making money why someone would do that. Of course, I don’t follow the whole rpg industry, just parts of it. People with more experience selling games than me might have different perspectives. I published a bunch of adventures mainly because I wanted to, but overall, that time might have been better spent (business-wise) on something else. Adventures on Dungeon Planet has consistently outperformed all of those adventures since the very beginning, and Class Warfare is already more profitable after only a couple of months. So, even though I have notes for plenty more adventures, they’re not exactly racing to the top of the priorities list. This was very interesting and informative. Maybe I should be writing a book of core rules?